One bit of good news about this year’s tax season is that we have a few more days to file our returns, April 18 versus the regular tax return filing deadline of April 15, due to fact that the Washington D. C. Emancipation Day holiday falls on the 15th. We want to give you even more good news by making sure you’re aware of steps you can take to reduce your 2015 tax bill right up until midnight on deadline day. Check to see if you’re eligible to make a deduction in a health savings account:Â Each year you can contribute a maximum of $2,500 to a healthcare flexible spending account. This allows employees to set aside pre-tax dollars to pay for eligible healthcare expenses. Funds put into the plan avoid Federal Income Tax and FICA. “The thing about this is it’s a triple tax benefit. Deduction for money going in, earnings grow on a tax deferred basis, if you take withdrawals for qualified medical expenses it’s tax free,â€ says Weltman. Make sure you’re carrying over all deductions from the prior year: “One of the things that many people overlook are carry overs from prior years: For example, capital losses, home office deduction, and charitable contributions may be able to be carried over if you hit the income limit last year and you itemize. The same is true for investment interest.â€ Be sure to talk to your tax professional to see if you have any carry overs for 2014.
head of household $61,000 or less A full deduction up to the amount of your contribution limit. More than $61,000 but less than $71,000 A partial deduction. Married filing jointly or qualifying widow(er) $98,000 or less A full deduction up to the amount of your contribution limit. Â More than $98,000 but less than $118,000 Â A partial deduction. Â $118,000 or more Â No deduction. 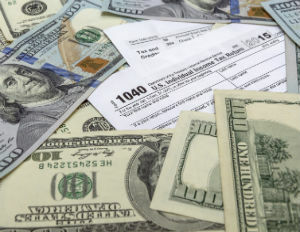 Married filing separately Â less than $10,000 Â A partial deduction. Â $10,000 or more Â No deduction. Weltman also points out that you may want to forgo the traditional IRA deduction and opt to do your retirement saving in a ROTH IRA instead. You don’t get the deduction up front, but you do build tax-free income. Talk to your financial professional about your best option.